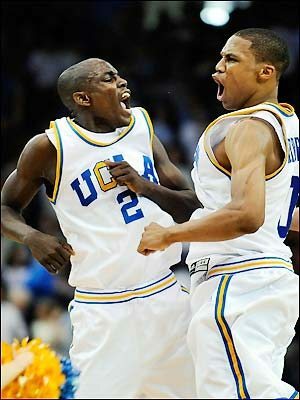 After enjoying seeing two wonderful point guards battle last night in the Thunder vs. Hornets game, I ‘happened’ to notice that both of these speed demon playmakers happened to attend the same school – UCLA. This had me thinking, and I didn’t need to think terribly hard to put some pieces together. . .UCLA has SEVEN point guards playing concurrently in the NBA. I am not certain about this (help welcomed), but I’m not certain any university has produced seven NBA point guards TOTAL. 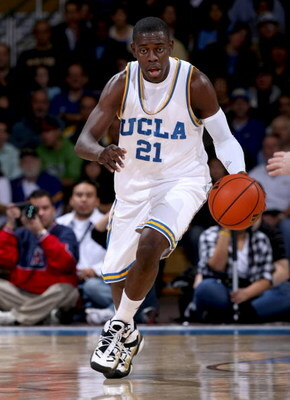 From this point forward, UCLA is heretofore known as POINT GUARD UNIVERSITY. 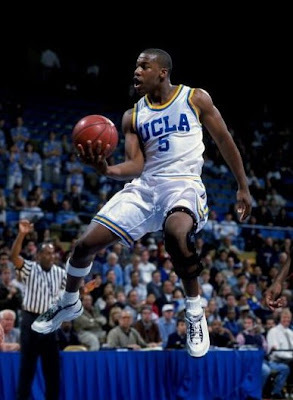 *Bozeman was a tall point guard in the same vain as Magic Johnson, a McDonald’s All-American that tore his ACL as a sophomore and never fulfilled his potential as an offensive playmaker. That said, he still played two years in the NBA for the Atlanta Hawks. In short, this is an amazing feat and Ben Howland should be commended, and perhaps not fired as some bloggers have indicated. This is a reflection of a great program with a great reputation, and further builds upon the mystique and mythology associated with the Bruin Nation.